Vaporesso Polar TC Box Mod, which is powered by dual 18650 batteries to fire up to 220W, has 2-inch TFT screen that can clearly display status of vape. What's more, it adopts advanced OMNI board 4.0 chipset to ensure high performance. In addition, it comes with various output modes to offer different flavor. 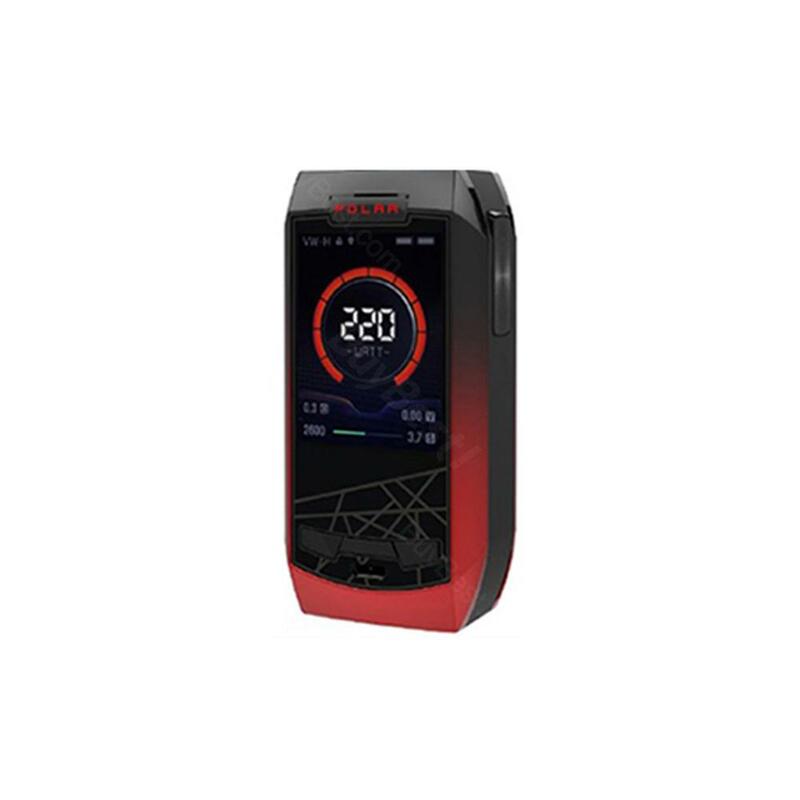 Vaporesso Polar TC Box Mod, which is powered by dual 18650 batteries to fire up to 220W to deliver huge cloud, has 2-inch TFT screen that can clearly display status of vape. What's more, it adopts advanced OMNI board 4.0 chipset to ensure high performance without losses of energy. In addition, it comes with various output modes that include VW(H/N/S), VT(SS, Ni, Ti), TCR(M1, M2), CCT, CCW, VV, CCV and bypass to offer different flavor. Furthermore, 0.001s super quick firing speed and 2.5A quick charge will save your time efficiently. What are you waiting for? Just get it to enjoy the perfect vaping. • No battery, you need to buy it separately. • Three-month warranty for Vaporesso Polar TC Box Mod. 220W Vaporesso Polar TC Box Mod is a modern mod that features the upgraded Omni Board 4.0 chipset, a vibrant 2.0" OLED display, and strikingly futuristic design to pair with the new Cascade Baby SE Tank.